In celebration of the Wind Symphony's 25th season and in recognition of the centennial of San Francisco's 1906 earthquake and fire, Steven Reineke now music director of the New York Pops was commissioned by CCWS to write a major symphony. 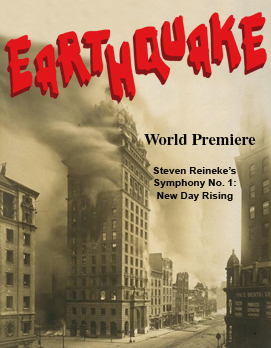 Reineke was present to introduce and conduct its world premiere on the date of the centennial. Frigyes Hidas completed CCWS's commission of "Hungarian Rhapsody" just shortly before his death in 2007. The work draws from the 3,000 Hungarian folk songs—from Transylvania and the Danube and Danube-Tisza regions—collected by Bartók, Kodaly and Vikar. Hidas used these authentic folk songs and framed them with the Liszt style of Hungarian rhapsody drawn from contemporary urban gypsy songs. 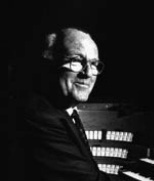 Please see the concert program's tribute to Mr. Hidas here. This work was commissioned in celebration of CCWS's 20th anniversary. It depicts millions of years of Mount Diablo's history, the wonderful folklore of its inhabitants, and the varied splendor of our mountain. Composer Steven Reineke visited the area, hiked the mountain and gained valuable insights from photographer Stephen Joseph and members of the Mount Diablo Interpretive Association and the Save Mount Diablo organization. Mr. Reineke conducted the premiere of his piece.